March 21, 2018, 11:33 a.m. Earlier this month, high-street fashion retailer New Look announced that it planned to close 60 stores as part of a rescue deal aimed at preventing the firm entering administration. With around 1,000 staff facing redundancy, it is yet more bad news for a beleaguered retail industry. New Look’s struggles can in part be attributed to the threat from more nimble online rivals and the impact of inflation. YouGov brand tracking data also hints at places where New Look has lost out to its rivals. Its impression score (which looks at whether someone has a positive or negative impression of the brand) is currently at 11 among the general public, which is a fairly strong position. However, this puts it behind other fashion brands like Asos (12), Zara (14) and H&M (17). More revealing still is how New Look is advertising to its key target demographic. Among women aged 18-24, New Look’s average ad awareness score (whether someone has seen an advert for the brand in the last two weeks) over the last year is 18 per cent. However, it has been outstripped on this front fairly consistently by Asos (average score of 22 per cent) and boohoo.com (26 per cent). 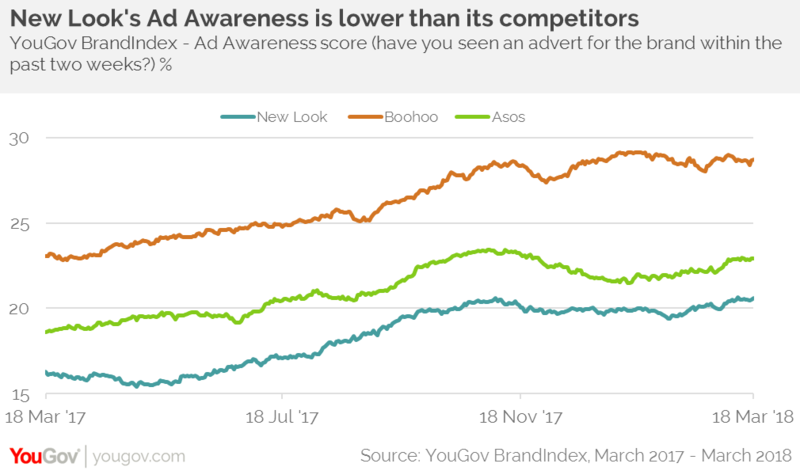 In fact, Boohoo tops the fashion sector in terms of ad awareness over the last 12 months for this group. 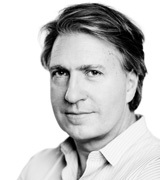 New Look has traditionally positioned itself as a value for money fashion retailer. However, YouGov brand tracking data hints at where the brand has lost out to an even more cost-conscious rival. Our data shows that the proportion of former New Look customers who are now shopping at Primark has increased steadily over the past two years. It reinforces the need for retailers to clearly communicate to consumers what makes them stand out. While New Look is generally well-liked as a brand, it is no longer a main go-to choice for young women, as that place now belongs to cheaper rivals.